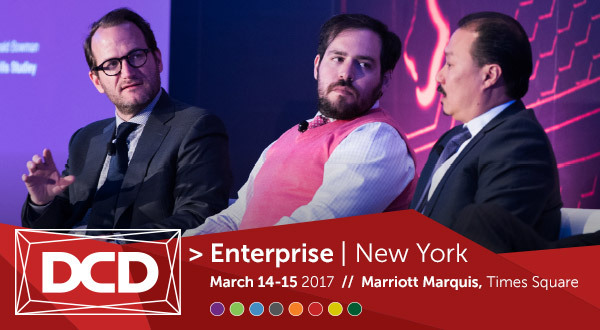 On Day One of the 2017 Data Center Dynamics (DCD) Enterprise Conference in New York City, Andreas Zoll, VP of Engineering and Manufacturing here at BASELAYER, shared the stage with fellow industry leaders for a panel discussion on the design, structure, and operations of data centers in the years to come. I was fortunate to sit in on the discussion to hear what this group had to say about the future of data center technology. Data center providers have delivered new features every year, and the thought leadership presented by those in our industry continues to be shared. Because the future will drive data center evolution and growth, it is clear corporations need to stay educated on the latest technologies such that they are able to identify the appropriate data center strategies unique to their business. Companies need to understand what is available to them, take the regulatory requirements of their company, and then match those to the tools available. More importantly, companies should partner with those vendors who not only stay current with new technologies, but may be developing those technologies themselves. These vendors are likely to be better equipped to provide the right solutions specific to an organization’s needs.